“How much will it cost to get this delivered to me?” This is why OCC Outdoors works very hard with every customer to get the very best value. That includes helping you save money on shipping. After all, shipping cost often has an immediate effect on whether a purchase has good value. It’s also the question that often decides whether a purchase is made at all. OCC Outdoors takes lowering shipping cost for our customers very seriously — even though it’s not always easy to do. The shipping industry has many regulations that they must follow. Not only are the size of the pallet, size and weight of the shipment, and the distance the product ships affecting its delivery cost, but the point of delivery and quantity are also key factors. By understanding the points below, however, a customer can work with OCC Outdoors to maximize value and save money on shipping costs. Pallet Size. Will handling the product be difficult for the warehouse and the shipper with a standard forklift? Is its size or size take up too much space when it’s packed in a trailer? If so, its shipping cost can be affected — sometimes greatly. The weight of a Unit. If an object weighs more, then it costs more to ship. This is a no-brainer. For ease of processing, the shipping industry developed a Class system for determining shipping cost. The higher the class number, the lower the product’s weight. For example: A recycle bin that weighs 4 pounds-per-cubic-foot is considered Class 250. 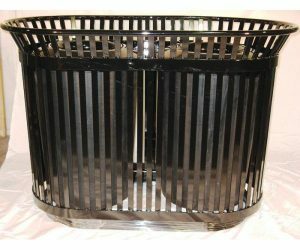 A bin that weighs 9 pounds-per-cubic-foot is considered Class 85. But shipping class represents a range. A receptacle that weighs 4 pounds-per-cubic-foot is Class 250; a second receptacle that weighs 4.25 pounds-per-cubic-foot would be considered Class 150 for shipping. That second receptacle might not be much heavier than the first, but its shipping cost could be very different. The point of delivery. Where an item is shipped to can also affect its shipping cost dramatically. The easier it is to deliver the park bench, for example, the lower the shipping cost. Historically, a business with a shipping dock or fork lift will have the lowest point-of-delivery cost associated with it. 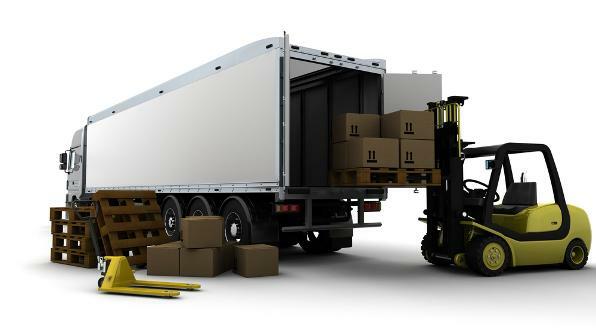 These business are typically designed to receive large vehicles for easy delivery and unloading. But a business without a shipping dock or fork lift will require a lift gate delivery, typically increasing cost by $50-$125. Shipping companies have historical data that helps them pre-determine if a venue will have this easy delivery access or not. Residential areas with limited access or constructions sites are also more expensive because of the increased difficulty in getting the semi in and out and often the need for a lift gate. Small Shipments. Shipping one of two small items can sometimes have a pick-up and drop-off cost that’s nearly as much as a larger shipment. This can be especially true if the shipping company has a minimum charge for shipping/delivery. Example: Product A should cost $20 to ship, based on its weight, size, class — all of the criteria we talked about earlier. But the shipping company has a $100 minimum shipping charge. If you only only one (1) Product A, it’ll cost you a minimum of $100. If you order three (3) of the same product, it’ll still cost you $100. If you order five (5) of the same product . . . you get the idea. Volume orders benefit greatly from this, which is why OCC Outdoors offers the best volume discounts in the industry! How You Can Save Money on Shipping. As the end-customer, there is little you or OCC Outdoors can do about the pallet size, quantity and the weight of the unit — the major factors of shipping cost. But all’s not lost! You can save by picking up the products at the shipping terminal or working with a local business to receive your shipment. But this might not be a viable solution for everyone. OCC Outdoors designs its products with the idea that a solution might not be the best for every customer. Through our wide array of selections, you can find the commercial furnishing that best suits the needs of your facility. A particular 36-gallon recycling bin might weigh over 300lbs, while another 36-gallon bin might weigh 195lbs. And both might have significant differences in dimensions. 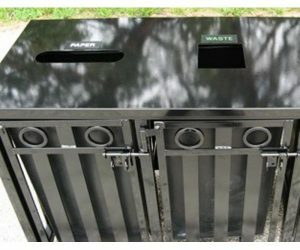 The Dual Colonial Recycling Bin and Steel Top Dual Recycling Receptacle are both 36-gallon, but their weight is drastically different, affecting the shipping cost. Because we design most of our products in-house, we’re able to fine-tune your needs and pinpoint the absolute most perfect furnishing for your outdoor facility, park space, or commercial business. OCC Outdoors Can Help You Save on Shipping! If you have questions, feel free to ask any of our sales agents. By helping you find the perfect commercial furnishing solution for your park or facility based on your needs, we can almost guarantee the lowest shipping cost for you.